Promoted: Your audio wishlist, answered | What Hi-Fi? From multiroom audio to hi-fi and speaker docks, the Currys PC World guide to audio has the right product for you. The crackling of Radio 4 longwave is of genuine comfort when you’re listening to Test Match Special or the shipping forecast, but if that’s all your audio kit can do, then you’re scuppered if you want to listen to something with a little more pep. 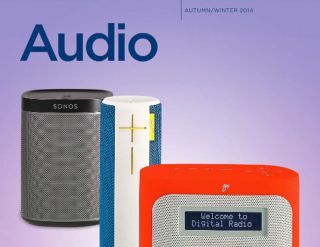 That’s why Currys PC World has put together this guide to the kit you’ll need to set your household’s toes tapping – from multiroom audio, to streaming services, portable speakers, docks, hi-fi systems and DAB radios. And whether you live in a minimalist batchelor pad or a house clad entirely in flock wallpaper, there’ll be a product in there to suit you. Click here to download the guide. And happy listening.